I don’t know whether this guy was watching tourists, but at least he seemd to enjoy his cigar. 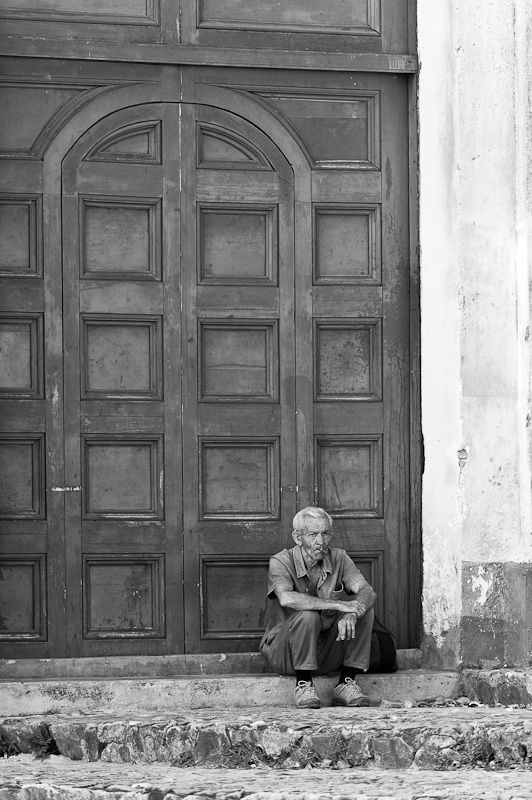 Shot taken in Trinidad, Cuba. Cool portrait with that door behind. A wonderful clean shot Thomas! Very nice – I like the way you've left him in context with his environment. Format gut gewählt, durch die dominate Tür wird der Mann zum Antagonist. cool portrait and the door to adds to beauty!